I spend a lot of time within the Klamath Knot, or the Cascade Mountain Range. Rock and mountain passes, gullies, and trees that touch the clouds and the heavens, lakes, streams, and rivers, all of fantastic stuff of dreams, of perceptions, of stories . . . But first and foremost is the pleasure of wandering, whether on horseback or packing inward on foot, into a large meadow, into the middle of the wonderlands I call the Cascades and a touch of heaven within a Cascades Meadow of tall grasses and livid colors that one can only imagine, until standing within them, speechless, momentarily mind-numbing and devastated by so many and such beauty. I enter into these corridors, or vast flats of tall grass, of flowers, of surrounding wildlife. In the middle of it all, and after a while of getting use to the soft trampoline-like ground where I had to actually steady myself on occasion before getting acclimated to it, oh, the questions run through my brain. Like the text in a good book the compilation of story progressed, the grasses and the shallow breeze brushed so lightly the tops of each stem of grass, the Robins sang, even as the stars come out and literally filled the sky with a vast light-show of so many independent white sparkles, flashes, and streaks of falling stars. A slight pause between the birds singing, I heard a clomp, then chewing. I turned and seen in the distance, the heads of several deer grazing in the parsnips and corn lilies just beyond the grass meadow and near the treeline. So there I sat, as on a mountain top; but no, a meadow and one of many more of all types, of all sizes and shapes and growth and variety of grass – yes, the many grasses within the wilds – domesticated? well. . . Certainly, life does not evolve around bedrock, or rocks in general; neither wildlife nor humans alike could survive; which, is a fact of evolution, and more often than not certainly minimized within our perception of what gives us life and what does not. The significance of grasses in the wilds, or what covers a large and vast amount of land throughout the world, becomes clear, becomes evolutionary for all, for wildlife and humans alike, and for our very life – Grasses. Because we are unable to make food from dissolved rock, water, and sunlight has indeed escaped many an ignorant mind of hunter, of industrialist, of corporate heads, of welfare ranchers, and of government agencies, only to name a few, and this group alike within so many arrogant and ignorant perceptions right now. Placing cattle in the forefront of grasses and life necessity, by promotion of over-population of cattle, taking cattle out of rangelands studies, creating false science favoring cattle and other special interest browsers, and ignoring the destruction to grasses cattle and the others cause, and continues to go unchecked and ignored, threatens our very existence on this planet. Yes, a profound ignorance, fear, and greed flares its ugly head again and again – a never ending situation of human-species and their overriding illusory superiority on this planet — certainly a false and potential very devastating mind-set for all of us. Odd how our human perceptions displace, or choose as insignificant, such life-giving biological situations of evolution, which a simplistic high school understanding of such so ignored and foolish to do so, for a truth that should be given great emphasis, the health and promotion of its health of various grasslands of our entire world. These grasses, we ignore and often shrug and simply set-aside for other things, we suppose more significant in importance, in reality conflict directly with this life-giving form – Animals, including our human species, are unable to live within any environment, that is, until plants colonize them; unable to exploit new ecological niches until plants create them. Even the mechanical evolution, or referred to as industrialized-society (i.e. industrialization), was indeed preceded by fossilized horsetails and algae that become coal and petroleum, which also remains a very open-question whether this mechanical evolution will continue once fossil fuels are exhausted. . .
Perhaps, also, why there is such strains and power-crazed social manipulations, and so much misinformation in the matters of corporate influence and its necessity within our society today – as they may see the future, and that future is without them. The fact is, it is certainly unlikely that any great new advances in animal evolution (yes, human species included) will come about until plants evolve new ways of using sunlight, water and minerals. Again, when we look at the evolution of civilization, it simply would not have evolved if not for the evolution of cereal grains from wild grasses – as history shows time and again. Number of livestock producers with federal grazing permits: 27,000. Percentage of livestock producers with federal grazing permits in the United States: 3%. Percentage of livestock producers with federal grazing permits in eleven Western states: 22%. Number of livestock producers without federal grazing permits: 880,000. Fee to graze one cow and calf for one month (AUM) on federal public lands (2003): $1.43. Average fee per AUM on state lands in the West (excluding Texas) (1998): $12.30. Average fee per AUM on private lands in eleven Western states (1999): $21.10 – $52.00 plus. Percentage of total feed for livestock (cattle and sheep) in the United States supplied from federal lands: 2%. That agriculture was developed by culture, rather than natural selection, does not make the plants less important. They may be sewn and harvested by us, but they still do the real work, and the essentials of turning soil, water, and sunlight into food. How far, one must ask, will our illusory superiority, over mother nature, continue until we have, indeed, self-destructed due to ignorance? Well, we certainly appear to be on this (and excuse my R&R background) Highway-to-Hell and the speed of which, is becoming aggressively faster and on a yearly, soon monthly, then weekly, basis. . . If we take a better look into our environment, into our grasslands and nature itself, we may find many answers. But first and foremost, as a species, we must rid ourselves of this illusory superiority that exists currently. Mother Nature continues with its job. Because our species ignorant and way beyond any common sense, we often have no way of knowing, more or less even to acknowledge, what other animals or even vegetation on this planet, could and perhaps is now benefiting from. Trees, as our minds, or perception would have it, are not the culmination of plant evolution. In reality, nature’s truth not ours, it is the grasses, which has evolved out of adversity. Currently, due to ignorance, an upheaval and human-special interests, remain wiping out the grasslands, and select grasses that give life to all animals on this planet. Once again we see that all is connected, and all life-forms are necessary. When the human-species actually admit, and bow to nature and the acceptance of truth, that grasslands and plant life essential, and a priority over such things as cattle, as financial growth within agriculture, and within our very perceptions of life on this planet, and just how everything is connected, we will then experience growth – until then, nature and wildlife is experiencing vast growth, i.e. limited at least those who remain disconnected from our industrialized ignorance — ad perhaps we will never see or understand those virtues; and the human-species, well, have become stagnant within our own ignorant behavior and greed. 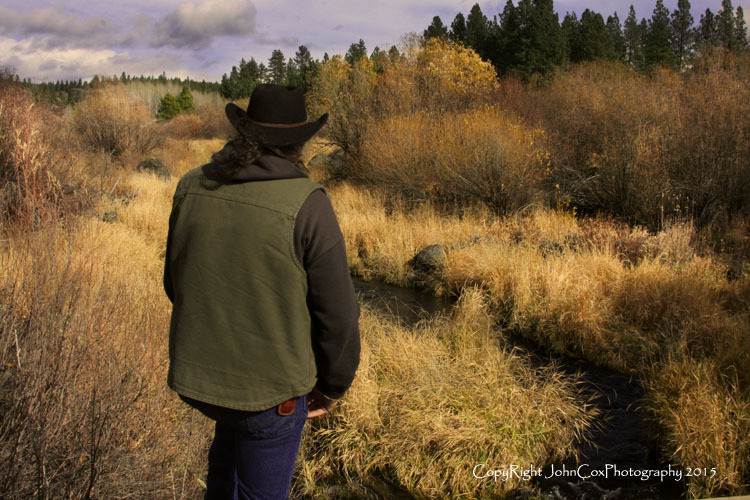 Do we need Welfare Ranching and the Federal Grazing Permit Program? Bureau of Leisure and Motorhomes – October 2004: for the first time in the history of the agency, the Bureau of Land Management collected more revenue in recreational fees than annual grazing fees. This despite the fact that recreational fees are often collected through voluntary pay stations, while grazing fees are mandatory and enforced, and BLM does not charge fees for many recreational offerings on BLM lands. In Nevada (the state with more federal land than any other outside of Alaska), federal public lands grazing provides 1,228 jobs. 12 By comparison, one casino in Las Vegas employs 37,000 people. Alternative uses of federal public lands contribute much more income to local and regional economies than livestock grazing. 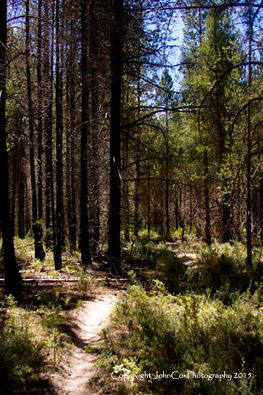 In the Central Winter Ecosystem Management Area in the Kaibab Plateau, Arizona, dispersed recreation is worth $200,000 annually to the local and regional economies; fuelwood is worth $48,984; livestock grazing is worth $45,988; and deer and turkey hunting is worth $1,324,259. As part of his research on public lands grazing economics, Dr. Thomas Powers produced two tables of data (below) that are widely cited to refute the contention that public lands grazing is essential to western state economies. † Adapted from T. M. Power. 1996. LOST LANDSCAPES AND FAILED ECONOMIES: THE SEARCH FOR THE VALUE OF PLACE. Island Press. Washington, DC: 184-185 (citing T. M. Power. 1994. Measuring local economic well-being: per capita income and local economic health in C. W. Cobb and J. B. Cobb (eds.). THE GREEN NATIONAL PRODUCT: A PROPOSED INDEX OF SUSTAINABLE ECONOMIC WELFARE. Univ. Press of America. New York, NY.). * “Dependent” means more than 5% of forage from federal grazing. ** Power, T. M. 1996. LOST LANDSCAPES AND FAILED ECONOMIES: THE SEARCH FOR THE VALUE OF PLACE. Island Press. Washington, DC: 183 (citing E. B. Godfrey and C. A. Pope. 1990. 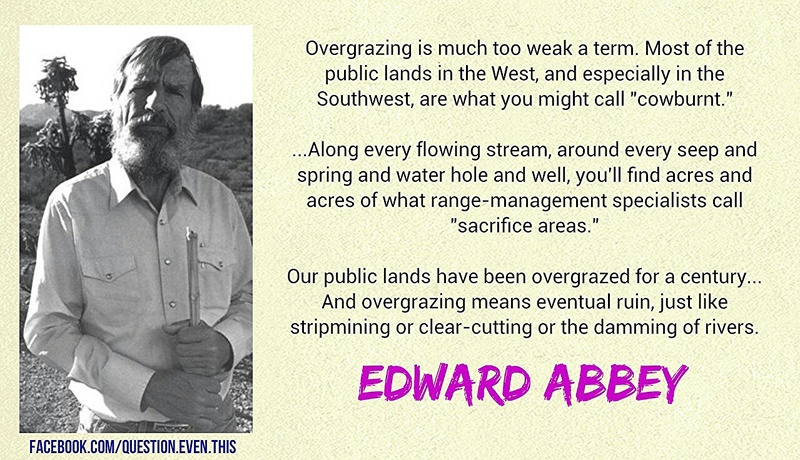 The trouble with livestock grazing on public lands in Current Issues in Rangeland Resource Economics. Oregon State Univ. Corvallis, OR.). The vast majority of “livestock producers” on public lands are beef growers. Grazing permits for BLM and Forest Service allotments; includes sheep growers; accounts for permittees who operate on both BLM and Forest Service allotments. USDI-BLM, USDA-Forest Service. 1995. Rangeland Reform ’94 Final Environmental Impact Statement. USDI-BLM. Washington, DC: 3; see also P. Rogers. Cash cows. San Jose Mercury News (Nov. 7, 1999): 2S (reporting 26,300 permittees on BLM and Forest Service allotments). See USDI-BLM, USDA-Forest Service. 1995. Rangeland Reform ’94 Final Environmental Impact Statement. USDI-BLM. Washington, DC: 26. USDI-BLM. 2004. 2004 Federal Grazing Fee Announced (press release). BLM. Washington, DC. (Feb. 20, 2004). USDA-National Agricultural Statistics Service. 1998. Agricultural graphics-17 state grazing fees adjusted AUM. USDA-NASS. Washington, DC. Available at http://www.usda.gov/nass/aggraphics/graphics.htm. Rogers, P. Cash cows. San Jose Mercury News (Nov. 7, 1999): 2S. USDI-BLM. 1992. Grazing fee review and evaluation: update of the 1986 final report. USDI-BLM. Washington, DC: 2. Rogers, P. Cash cows. San Jose Mercury News (Nov. 7, 1999): 1S; Jacobs, L. 1992. 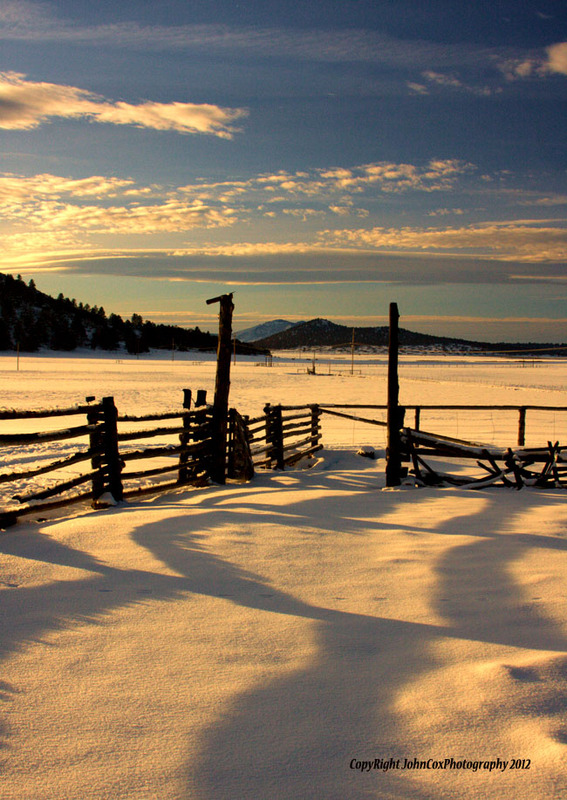 THE WASTE OF THE WEST: PUBLIC LANDS RANCHING. Lynn Jacobs, P.O. Box 5784, Tucson, AZ: 354. Power, T. 1996. LOST LANDSCAPES AND FAILED ECONOMIES: THE SEARCH FOR A VALUE OF PLACE. Island Press. Washington, DC: 184-185 (table 8-2). Power, T. 1996. LOST LANDSCAPES AND FAILED ECONOMIES: THE SEARCH FOR A VALUE OF PLACE. Island Press. Washington, DC: 184 (table 8-2). French, B. Rec fees surpass grazing for first time in BLM history. Billings Gazette (Oct. 7, 2004). Greenhouse, S. Behind Las Vegas’s glitter, heavy losses and layoffs. New York Times (Oct. 19, 2001). Souder, J. 1997. How does livestock grazing fit into the larger societal uses of wildlands?, in PROC. SYMP. ON ENVIRONMENTAL, ECONOMIC, AND LEGAL ISSUES RELATED TO RANGELAND WATER DEVELOPMENTS. Arizona St. Univ. Tempe, AZ: 305. Last Spring, I sat near a meadow, alongside Marble Mountain. Early morning and the mist carried with it a slight chill. But the mist also part of a significant ecological system, and the greens and browns and trees and moss and grasses and mushrooms and rotting tree stumps and flowers and nature at its fullest and most robust, simply blossomed before my very eyes. Not far from where I sat rose two glowing red fly amanita mushrooms, and yes, complete with the white spots. To state they stood out boldly within the damp and nature’s florescent greenery of the morning landscape, an understatement. As nature continued to evolve before me, a gorgeous doe appeared, went straight to the mushrooms and ate them. Fly amanitas are very toxic to humans; but animals vary widely in their biochemistry, and the deer unharmed. While this would be a bizarre adaptation for a mammal, it would be a mistake to project our own genetic changeability as an evolutionary norm. For those lesser plants, that form the matrix of forest life, change hardly exists. For the mushroom, on the floor of a forest that has changed little within its sixty million years of life (the Klamath region the youngest geological and ecological growth area in the United States) change hardly exists at all. Here we can also use the example of reality versus myth, legends of the mountains, and those that roam here and never really seen that much, but seen just the same. Rather than go into the complexities of debate, I will simply take a few seconds and ponder the overall aspect of such a presence within our forests and mountains. Time is an aspect that we, as human species, take for granted; which, it is also similar in mind-set that we must define within our perceptions evolution of life forms, in time, in order to understand the concepts within a comfortable and agreeable matter. So we force time into a definable matrix, mostly out of confusion and by what we do not understand, when compared to what little we do understand, especially about nature. But time within nature is of significance, and much different than what our mind-set can assimilate within a proper manner of understanding. We can, although, consider the sixty-million-year time frame here, and attempt to understand that within particular circumstances of stability, whether known by our species or left-unknown, nature could care less, actually, whether we do or not; profoundly, we may not understand that a mature individual hardly needs to die, but nature understands it completely. Up to this point, this is simply an obscure statement, I know. Let’s take it a step further. Perhaps what is running around up here, and in these mountains, have indeed approached the maturity of the redwoods, within a scarcity of our own narrow perceptions toward life; which, we cannot understand what so ever, and perhaps never will – as despite our lucrative science and brains, so we think and we assume we are superior to much of life on this planet, we may simply not be asking the right questions – or perhaps do not have the ability to ask the right questions to resolve such matters. We have the thumb, above and beyond all other species on this planet and indeed creates an advanced species within some matters but perhaps not all. But is there a mental capacity we over-look? Could it be similar to the diversity that a thumb gives to us? Something that we simply do not have, and yet another species may indeed have obtained through evolution or even stability within nature, and we remain unaware of its existence. How would we know? But the individuals that exist up here, and without a firm credible confirmation of existence by us as if we are the prime dictators of such an agenda (human species versus nature – which we seem to be losing this battle as well, and to nature), these creatures may be so healthy and hardy, that they enjoy life spans, and avoidance of us, beyond our comprehension. Within this perspective, their life-spans would presumably generate the wisdom to avoid being run over, or convoluted, by our civilization – Avoidance is the key phrase here. It must appear very unattractive to them, and why would it not? Our industrialized civilization is very destructive and unwholesome toward life in general and very ignorant as well, to say the least. . .
We have a mixed situation within nature, of evolution, but another situation of stability. We see this within the mushroom, among other vegetation and wildlife alike, and the very simplicity of its growth – here one morning, then gone, but there again and more down the same hillside, where yesterday there were none. As far as we can surmise, many mushrooms similar, if not exact, as sixty million years ago, and even more . . .
Is it natural selection entirely? Or, is the finite powdery-brown-dust on the mushroom so compelling, and contains millions of spores’ light enough to float around the world on a spring wind? The very beauty of nature is that we, as a species, do not know all about nature and never will. Ever! What is even more interesting? That there exist many species on this planet, and within nature, similar indeed to the mushroom, or unique upon themselves, but a separate species. We do not know about many species on this planet, but many of us hope, who are out here and discovering many things in nature previously unknown, we at least find out, or discover, these species before human-kind makes them extinct . . . Certainly, the contents of a different conversation. First and foremost, we must battle ignorance! Ignorance is a thing that is most comfortable to many, who have never wandered into the articulate realm of learning. Yes, many surmise rather than find out through independent investigation; many except a premise as being truthful, rather than find out whether it is a false premise or not – (we can look at the DOI and BoLM Wild Horse Herd Counts and even a light perusal of their information, we discover quickly, that they assume Wild Horses never die, as their information has neither fatality, nor normal death assumptions of age within it what so ever – according to their statistics they just hang-out, give birth, all live through birth, and multiply, and never die – ignorance of the worst type, because horses die due to this profound ignorance). We as taxpayers pay these people to generate accurate and scientific management paradigms for America’s lands and wildlife – and what do we get? Ignorance and bigotry and stupidity and lack of knowledge toward what they were hired to accomplish — at its very worst! What can become worse? The fact people repeat the misinformation, erroneous information, the stupidity of it all, and the ignorance. And what can be worse than that? That people except it as a truth, and become compelled to debate the issue as if truth! So we are essentially debating information that is erroneous in total, and derived from ignorance and stupidity! Is there any doubt that when politicians note this situation, that they will certainly take advantage of it, quickly? Now we can move on further into the point of all of this situation – as I hope I have compelled you to read further still . . .
Keep in mind, these government agencies decide whether Paleontological Evidence is Credible – But how is that if, as pointed out here, they have IQ’s of a noodle, and make decisions based on false premise or false information — for example (well referenced info), taking cattle out of field research and monitoring data bases, then making profound management decisions on the remainder of misinformed info. 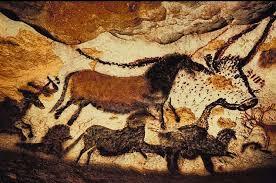 We now go to the information that surrounds the fossil records of wild horses. 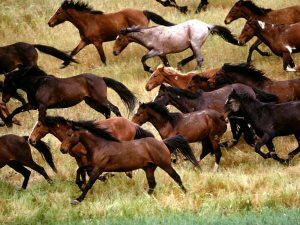 Basing the entire population of wild horses, or horses being in America at all on Spanish horses, that apparently just appeared one day in Spain, then were brought over by ship, and become over abundant here in the America’s over time? Ignorance? Comfortable to believe, but facts about the Pleistocene apparently contradict the facts of sales-based history of Spanish and French Horses? Well, we do not know, as there is missing historical-facts, but not fossils records, as they are complete. Horses have a finite lineage of facts, that clearly state horses were indeed here in the America’s within pre-historic times and eras – and I repeat, one of the only fossil records that can assimilate that as a truth, within our wildlife habitat. As I had mentioned above and about the deer eating the certainly toxic-to-people mushroom, but not to deer, similar to those who demand that people drink pigs-ovaries after being genetically altered, to prove it is not harmful to wild horses? 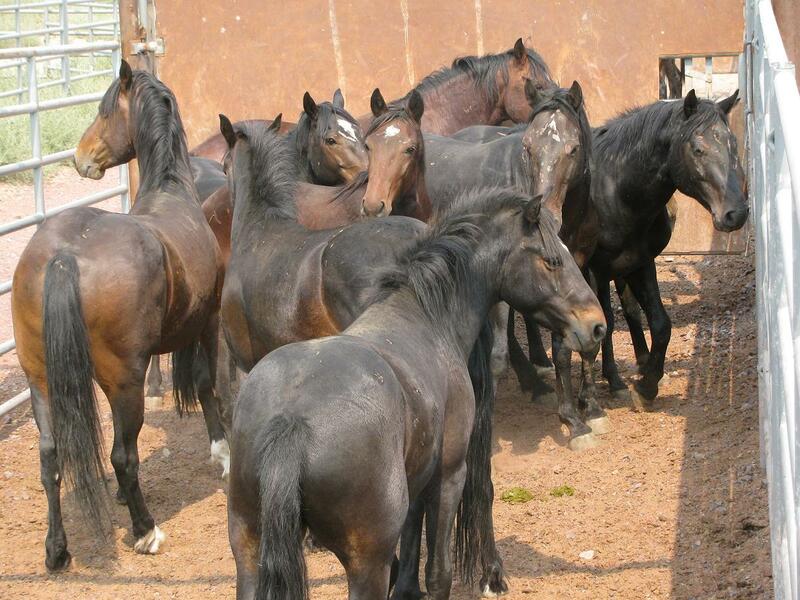 Ignorance, once again, at its worst levels – as pigs-ovaries certainly toxic to wild horses and their birth systems – as we are finding almost weekly now, harmful to many other animals to include horses as well. Back to the fossil records, which show not only existence, but wild horses surviving the Pleistocene Ice Age, due to the over-whelming information now of predator kill-off during that era, and Pleistocene horse bones being dug up in Pre-Columbian Era sites; which, Paleontologists state, confirmation of lineage and wild horses existing in the America’s, and crossing the Bering Land Bridge, if not already existing within the Americas’, which there is now credible evidence showing that currently as well. There is also the fact that the Pygmy Mammoth associated with the horses at that time, and through time, as mid-sized grazing animals. The Pygmy Mammoth sites, which, there exists many sites through America currently, and especially the Northwest. Horse bones had been found at nearly all sites, or within nearby sites – they grazed the same types of grasses. One of the key-theories that is present, the Pygmy Mammoth survived, as did other grazing animals throughout the Pleistocene Era onward. The conclusion obvious – Until we can re-do our government agencies responsible for proper, competent, and good science based facts in the matters or our Environment and Wildlife complex, as well as the Wild Horse controversy – Then ALL situations paramount to management should be placed ON-HOLD. . . Thereby, until we can obtain competent and knowledgeable people to manage our Public Lands, Federal Lands, and Wildlife within an appropriate manner, the ignorance and stupidity should be placed ON HOLD! — Simply, common sense dictates this to be accomplished. Ignorance and stupidity is unacceptable in total, and that seems to be those who are currently responsible for managing our lands and wildlife right now. Taxpayers demand change! Fungi does not fit easily into evolutionary theory, but none the less does not make them insignificant what so ever. A fungus can disappear momentarily, when it exhausts the nutrients in the soil, and reappear three-feet away. Yet, some trees, whose roots lost the capacity to absorb water, symbiotically obtain water, as well as nutrients, from fungi. Actually, there is no way of knowing how or when such symbiosis evolved, but it could help explain the sudden appearance of modern trees. And just as odd, and quite frankly interesting information for many to ponder, the trees appeared so suddenly and have changed so little since their appearance, it is as though they are a new type of symbiotic organism. There is much, much more nature gives to us, and we simply do not know or acknowledge all of it what so ever – but oh boy, the items we can acknowledge and reap within a cohabitation-type context is fantastically amazing.